What role has the dragon played in mythology? What is the symbolism of sacred geometry? 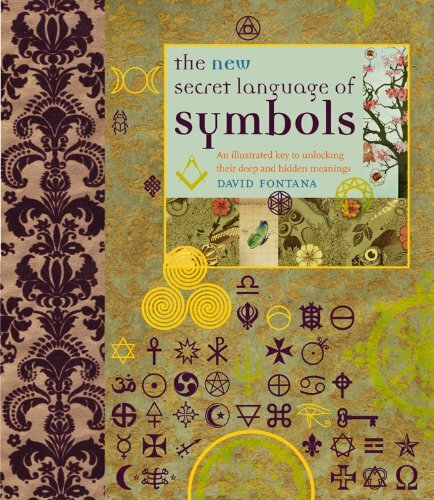 The New Secret Language of Symbols will satisfy today’s appetite for unpacking the layers of meaning that exist below the surface of many works of art or architecture. A look at the cultural and psychological explanations of symbolsincluding the Jungian idea of the collective unconscioussets the stage for the huge heart of the book: hundreds of symbols, presented theme by theme, with in-depth interpretations. Collective subjects such as Fruits, Weapons, and Insects are supplemented by mini-directory listings. A final section provides an overview of the most symbol-rich cultures, religions, esoteric groups, or systems, ranging from ancient Egypt and Hinduism to the Freemasons and the Tarot. Each topic centers around a multilayered artifact or image, which is fully analyzed and decoded until its deepest meanings are revealed. If you have any questions about this product by Duncan Baird, contact us by completing and submitting the form below. If you are looking for a specif part number, please include it with your message.